The department offers an Under-Graduate Program in Mechanical Engineering that covers a wide range of courses in the fields of thermal and fluid sciences, engineering design, dynamics, materials and manufacturing, operations research & management, Finite element analysis/ Methods, Metrology and Instrumentation, modeling and simulation; to meet the industry requirements. A sophisticated range of equipment, state-of-the-art facilities and well-equipped labs ensure that students get the very best of practical training. The strength of the department lies in its highly qualified and expert faculty besides its excellent non-teaching staff. To complement this, is the presence of the diligent students who epitomize enthusiasm and devotion. Teaching and learning activities are geared to stimulate intellectual curiosity, creativity and innovation. ✔ To impart training in the mechanical engineering fields. ✔ To provide facilities for giving theory and practical classes in Mechanical Engineering. ✔ To develop knowledge and skill of highest quality to the blooming Mechanical engineers. Seminar and practical session on Industrial Automation Technology by CEMAD, Center for Excellence and Machinery Automation Design PLC, SCADA,HMI Training Center in thottada Kannur on 07.02.2018. Seminar on Industry oriented Heat Ventilation & Air-conditioning (HVAV) and Mechanical Electrical Plumbing Systems Engineering (MEP) and its scope by PRIME MEP Training Academy- PRIME MEP Solutions. 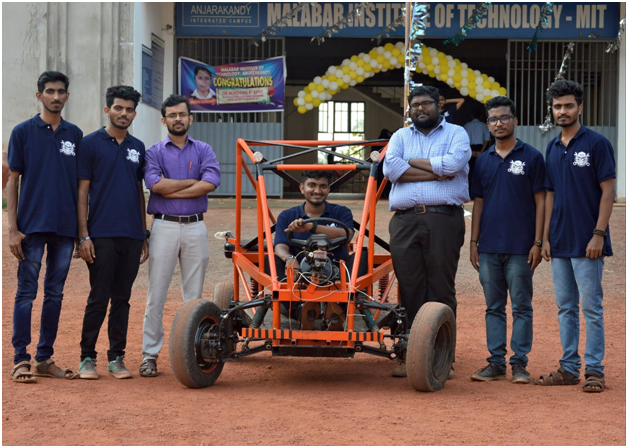 The students of Department of Mechanical Engineering (2014- 2018) have designed and fabricated a low budget All Terrain Vehicle for off road driving. They have completed the work for only 30,000 Rs. 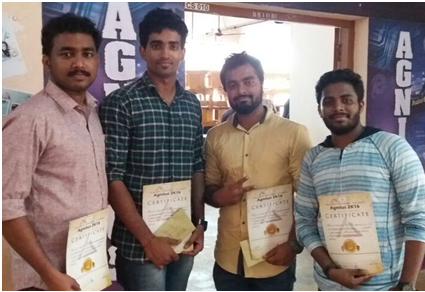 3rd position in Aqua Altura during AGNITUS 2K14, National level inter-College Technical Festivel held at College Of Engineering, Thalassery. 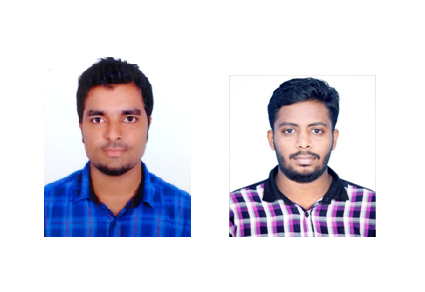 1st & 2nd position in Aqua Altura during AGNITUS 2K16, National level inter-College Technical Festivel held at CET Thalassery.